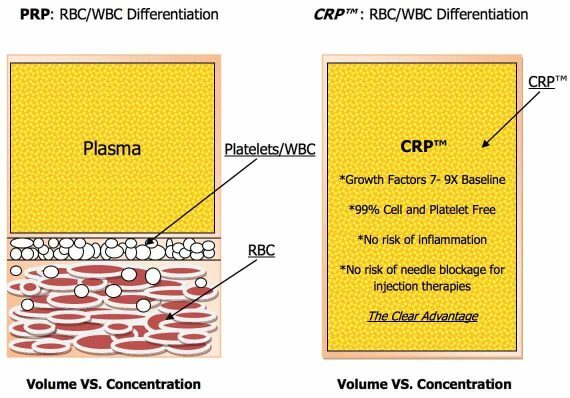 Why do we use CRP, instead of PRP? 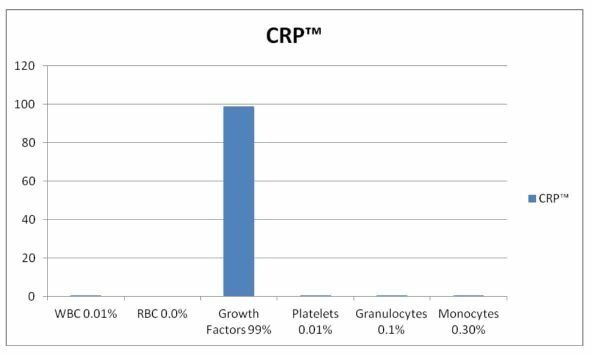 CRP is an advanced and superior version of any form of PRP currently available to healthcare providers and hair clinics, and is up to 20 times more effective than the PRP by delivering the highest level of growth factors in a pure plasma composition. We offer one CRP session to all our patients for free during their hair transplant operation. Why is CRP better than a PRP? The Platelets secrete special messengers called Cytokines, that call the growth factors to the application area (recipient region). In this way, the growth factors lead to quicker healing in both the implanted and native hairs by nurturing the hair roots and increasing the congestion, which also helps the skin cells receive valuable nutrition throughout. But, those Platelets also secrete inhibiting messengers, which counts for 30% of the total messengers. Those inhibiting messengers sometimes cause delays on healing, or even infection on the application area. So, a PRP kit has 70% growth factors and 30% inhibiting messengers. The CRP (Cytokine Rich Plasma) though has 100% growth factors. And involves no foreign substance, therefore has no risk of causing infection or allergy. The CRP does this by eliminating all red blood cells and leukocytes, which include inflammatory granulocytes and agranulocytes, making it the cleanest form of growth factor technology at the point of care. In conventional PRP, the red blood cells may cause pain and aggravation when injected. Additional unwanted cells and cellular debris increases the risk of needle blockage and injection resistance. The elimination of red blood cells give the end product a better aesthetic appearance as well. CRP can increase the growth factor quality and concentration by up to 20x, compared to normal PRP. Please complete this form to receive detailed information about CRP and hair transplant operation.